I went camping with my dad and brothers this past week and we had a blast! Started in Bishop at S. Lake, then over Bishop Pass and into Le Conte Canyon. 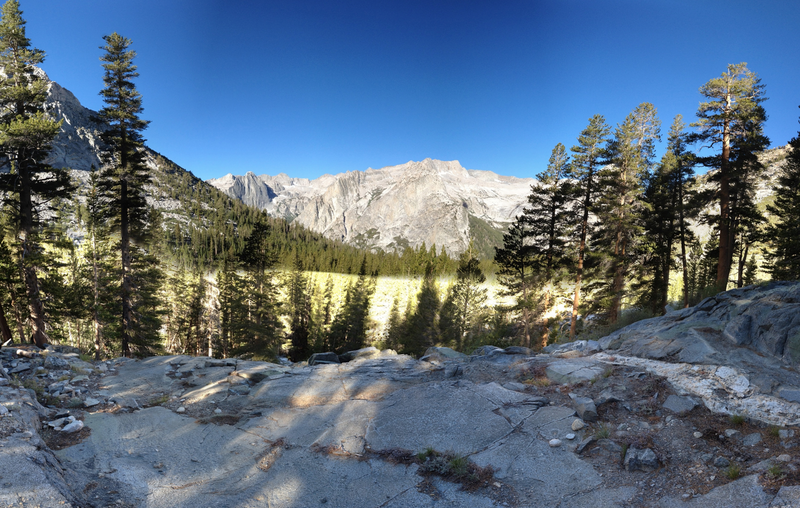 From there, we went south on the John Muir Trail to just past Grouse Meadow. Then back. It was a 25-30 mile trip overall and we took our time and enjoyed the company of each other along the way. Oh yeah, and I took this pic on the first night. The peak on the far left in the distance is The Citadel. Nice. This entry was posted in Photography and tagged Photo of the Week, Photography, photos.